The BladeRoom design has an advanced data center cooling system able to precisely match the actual cooling demands of the IT. The highly energy efficient data center cooling system uses standby N+1 mechanical cooling rarely, with principal cooling maximizing free, filtered, ambient air with evaporative cooling. Free cooling is available for up to 100 percent of the time (depending on the climate). This saves significant amounts of money, and reduces carbon emissions, making BladeRooms extremely energy efficient data centers. The back-up mechanical cooling system is only used for emergencies, and for partial cooling during extreme weather conditions; it is designed to provide total resilience and cool 100 percent of the IT load. 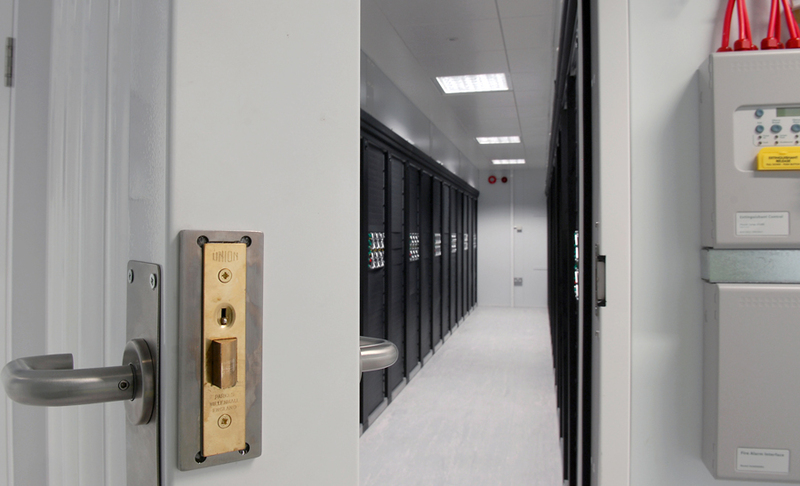 The BladeRoom Data Center System has been designed around the ventilation requirements to achieve maximum efficiency. Air is delivered seamlessly to where it is needed through the normal working zones; ductwork and raised floors are not required. National, European and international patents pending cover this unique and important development. 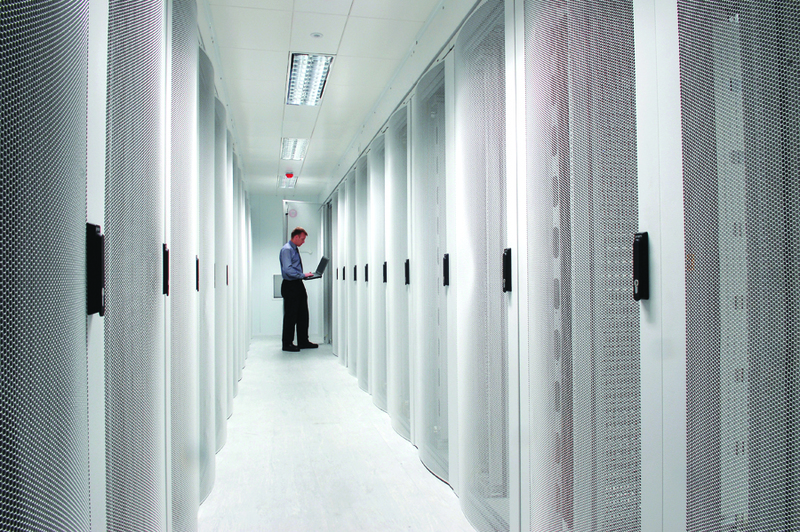 Rather than re-circulating and cooling the hot air from the IT as with traditional data center cooling, a BladeRoom Data Center operates like a server by drawing in highly filtered fresh air, intelligently matching air supply to IT demand, and exhausting hot air entirely from the data center as required. The Air Optimizers cool the servers primarily using fresh air and evaporative cooling. Evaporative and free cooling enables the IT equipment to be cooled with supply air temperatures of between 64 °F and 75 °F for more than 99 percent of the year without the need for mechanical data center cooling. This is the case across a range of IT loads, with the system still performing efficiently at 15 percent utilization of racks. The back-up mechanical cooling system is only used for emergencies, and for partial cooling during extreme weather conditions; it is designed to cool 100 percent of the IT load. The BladeRoom Match Technology allows world-leading efficiency to be achieved, even at low IT loads, or in very hot and humid climates like Southeast Asia where free cooling is rarely possible. 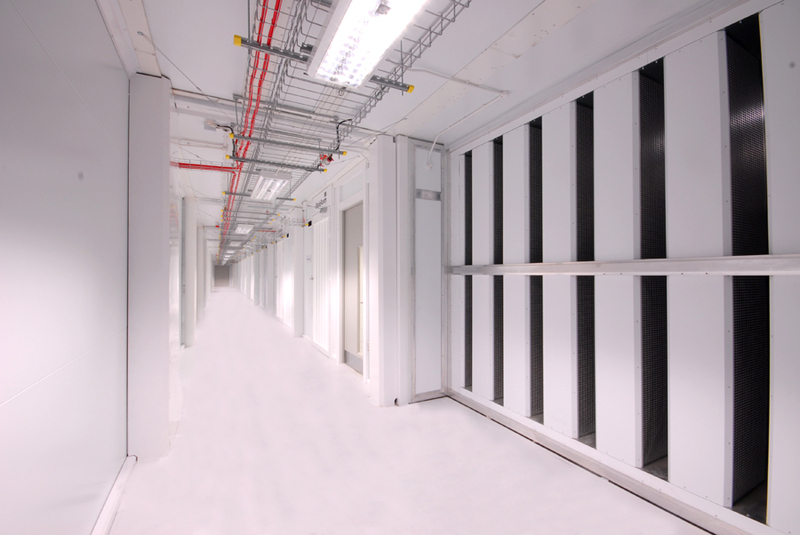 The whole data center cooling design was initially developed using detailed CFD modeling. Once satisfied and international patents filed, we built the first BladeRoom system configuration. To test its efficiency we invested in designing and building a Climate Emulator. The Climate Emulator enabled us to produce enormous volumes of fresh air at temperature and humidity ranges that can mimic any location in the world, and supply it to the air intake of the BladeRoom. Initially, we tested 2kW per rack in four aisles of 30 racks per aisle. Then, by redistributing the heat emulators we were able to increase the heat loads in any given aisle to demonstrate high-density data center cooling levels. The final phase of the tests involved the entire load being condensed into 10 racks in one IT room to deliver 24+kW per rack. The BladeRoom system progressively redistributed the cooling load where required, and responded to the changing load when the heat emulators were moved between IT rooms. 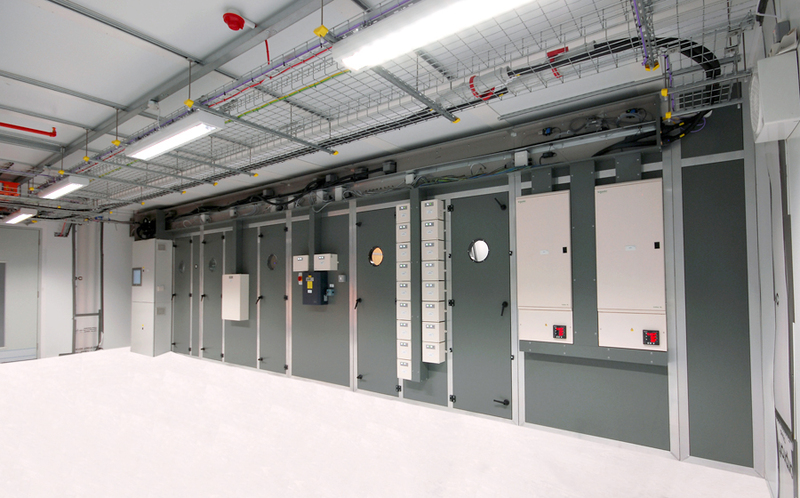 The BladeRoom system has since been proven on live client sites to comfortably deliver in excess of 30+kW of cooling per rack. 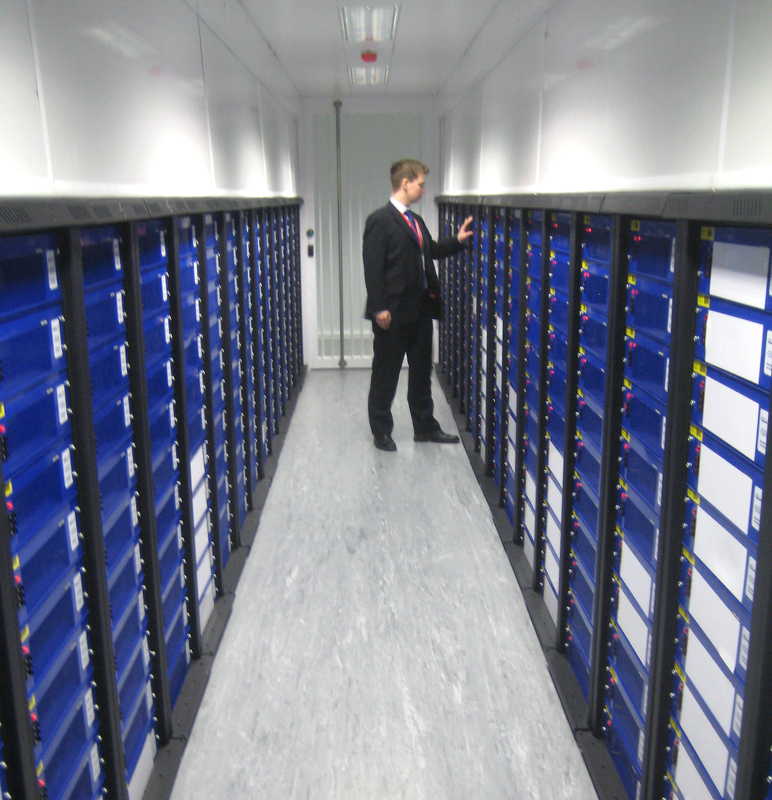 Individual racks may be loaded to extremely high densities (well above 30+kW) without impacting efficiency. All of this is possible with 100 percent free cooling, even with external temperatures in excess of 100 °F, something that had not previously been achieved.